There are two representations of the Mortuary Temple of Ramesses III (known as Medinet Habu) at the Crossroads of Civilization exhibition at Milwaukee Public (MPM) museum. The first is a detailed diorama, which took a decade to craft and was first revealed to the public in 1965. The second is a new, ultra-high resolution 3D reconstruction of the temple. Ideum collaborated with archaeologists and curators at MPM, constructed the temple, and developed hundreds of detailed textures. 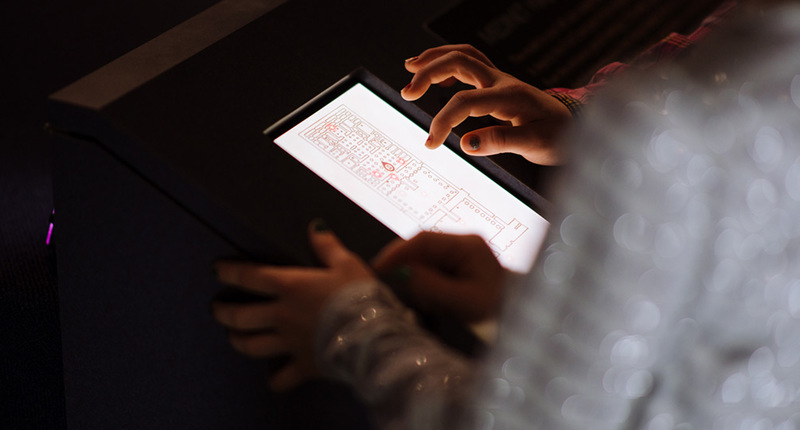 Visitors to the exhibit control their virtual journey through the temple by making selections on a PC tablet presented in front of a curved 65” 4K ultra-high resolution display. As they walk through from waypoint to waypoint, virtual signage helps briefly explain the features of the specific location. Just like its analog counterpart, the temple is depicted during its construction, helping reveal some of the techniques that have made ancient Egyptian architecture so renowned. The 3D model is highly detailed and hundreds of hours were spent by Ideum illustrators re-creating textures that show ornate qualities of this archaeological treasure. The temple is presented in 4096 x 2160 pixels; four times the resolution of the high definition (HD) standard. Along with the textures, Ideum programmed both the tablet and the 3D environment presented using the Unity3D authoring program. Ideum collaborated with the team at Milwaukee Public Museum and worked with experts at XY3D to create this immersive interactive experience. 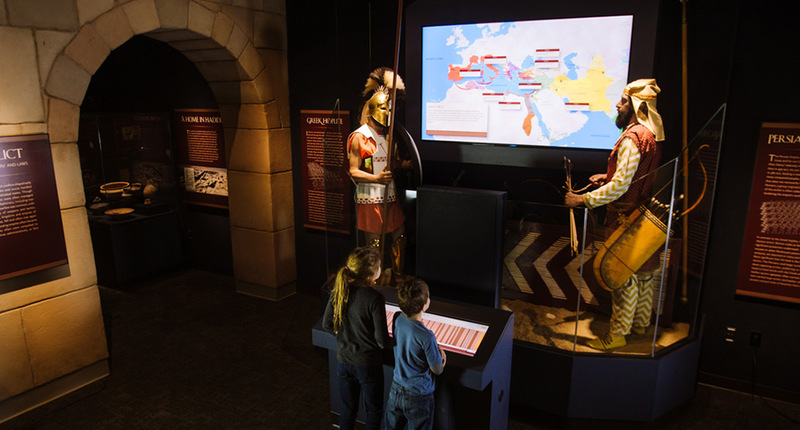 This exhibit is part of the Crossroads of Civilization exhibition at Milwaukee Public Museum. 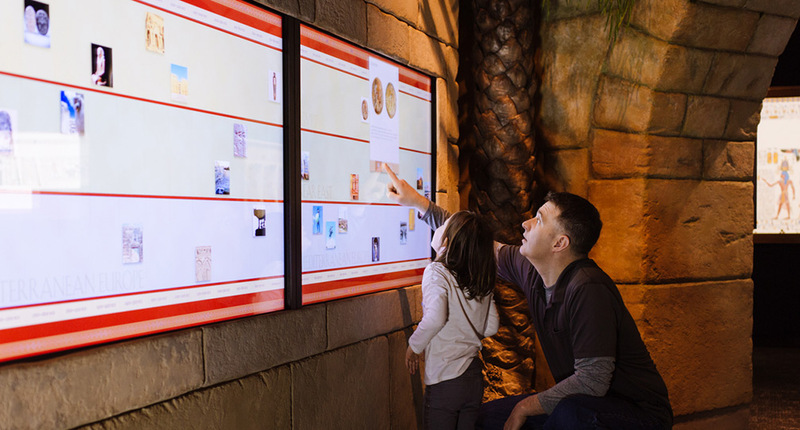 Ideum developed this exhibit along with three other interactive experiences (an interactive map of ancient empires, a timeline of the ancient world, and a life-sized mummy CAT scan). 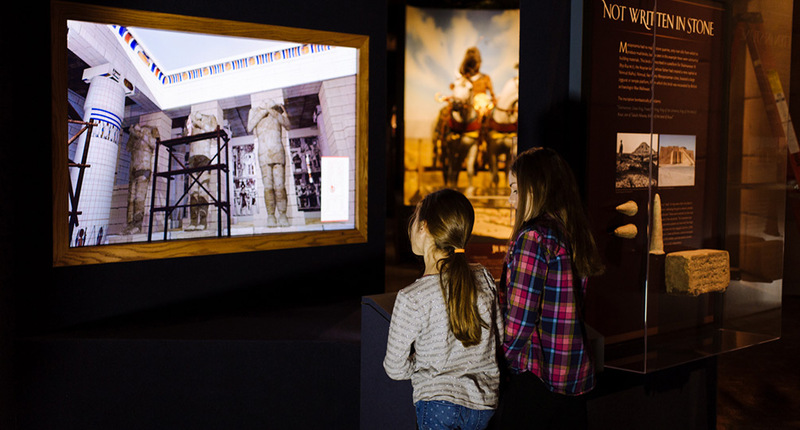 The exhibit opened on the Ides of March 2015.